Browse through the list of participating writers. It's fun to see who's doing what, where they've come from and where they're going! 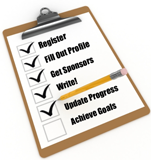 You'll find writing samples, lists of publications, Write-a-Thon goals, and other details. Each writer's page also includes pledge and donation buttons and donate-by-mail instructions. Pledge or donate whatever suits your budget. Every contribution helps, no matter how large or small. Donate as often as you like during the Write-a-Thon. For extra fun, sponsor more than one writer. If you're a writer participant yourself, donating to other writers is a great way to get donations in return! 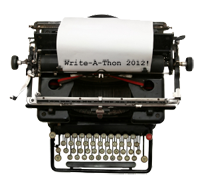 You can also support us by grabbing Write-a-Thon badges for your web page, blog, and social networking sites. What writers need most is encouragement and support. You can provide it by visiting the writer's blog or team blog. (Links appear on each writer's page.) 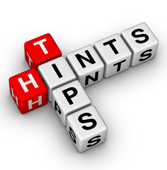 Stay in touch with your writers, so you'll know if they need a little extra push to get where they want to go! You can show further support and make an additional small donation by purchasing a Write-a-Thon coffee mug, hat, or t-shirt. for yourself or your favorite writers.